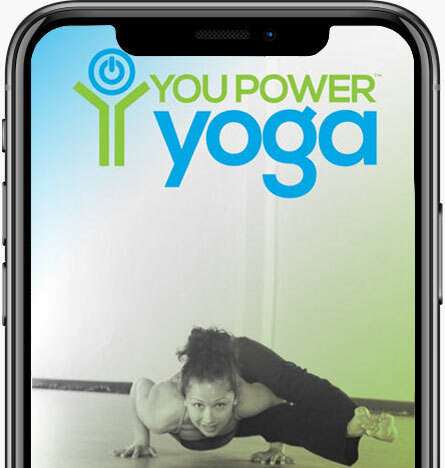 You Power Yoga – Edmond – Become your most powerful, energetic, loving self. At You Power Yoga – Edmond, we: Practice warm (not hot) power, flow-based yoga. Learn more on our website. FUN. FRIENDLY. YOGA FOR REAL PEOPLE. create a mind body account to receive our newsletter! Become your most POWERFUL, ENERGETIC, LOVING SELF. Practice warm (not hot) flow-based yoga. Some classes are held in an 85 degree studio (but we adjust lower on hot days); some classes are taught at normal room temperature. Use eclectic playlists to move through the practice with energy to spare. Honor the unique power, energy, and love of each person who practices here. See yoga as a powerful source of personal change that benefits those around us. Approach yoga with wonder, with respect for each practitioner’s ability du jour, and always with a sense of humor. Can be confident in the teaching offered by our certified instructors. We don’t just demonstrate; we instruct. Will be greeted warmly and treated with respect, regardless of your yoga experience or lack thereof. Will feel comfortable in our casual, friendly environment. Can trust our knowledgeable, experienced instructors who truly care about helping to deepen your yoga journey – mind, body, and spirit. Will see yourself becoming more compassionate and accepting toward yourself and others. 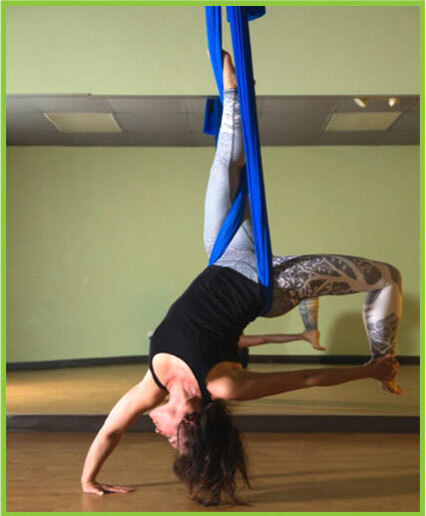 Will grow stronger, more flexible, and more peaceful with each class you attend. So grab a mat (we have them, if you don’t), and join the fun! 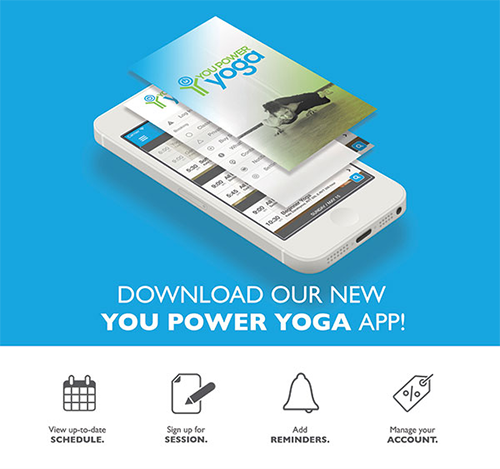 THE YOU POWER YOGA APP MAKES IT SIMPLE TO FIND AND SIGN UP FOR THE NEXT AVAILABLE CLASS.